My Sushi World: Star Wars dish for the Party! ! He is the one of most famous French Chef in the world. 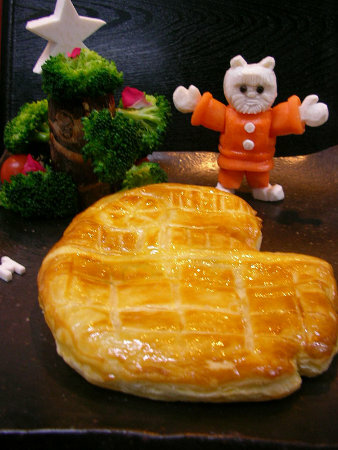 One of his representative dishes is "Loup en croûte feuilletée"
Which is Pie of Sea bass. He is a great chef and respect by a chef of all over the world. 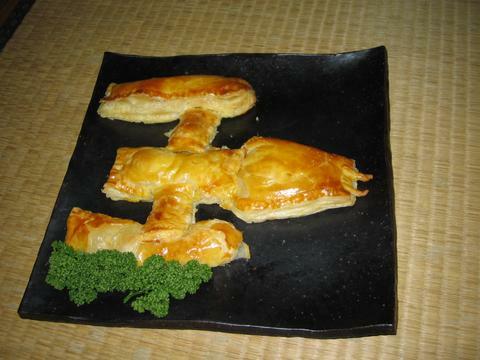 it can change into the most suitable dish of the party depending on your idea. Yes...! 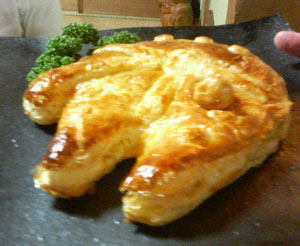 This is the article about Star Wars pie! 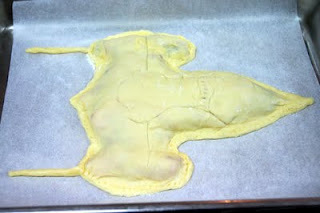 The below is just before cooking. You can try with a frozen pie sheet by yourself. 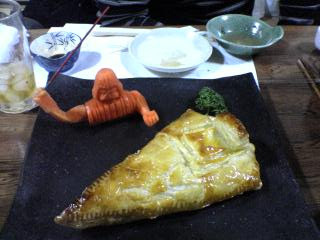 Here is the Pie of Deat Star 2 with veggie Ewok santa. Sea Bass, Sea Bream, Salmon,spinach and mushroom so on.. Please try at your home party.